Ballpark Basics: A ballpark that has played host to many of the greats, with many more good years to come. 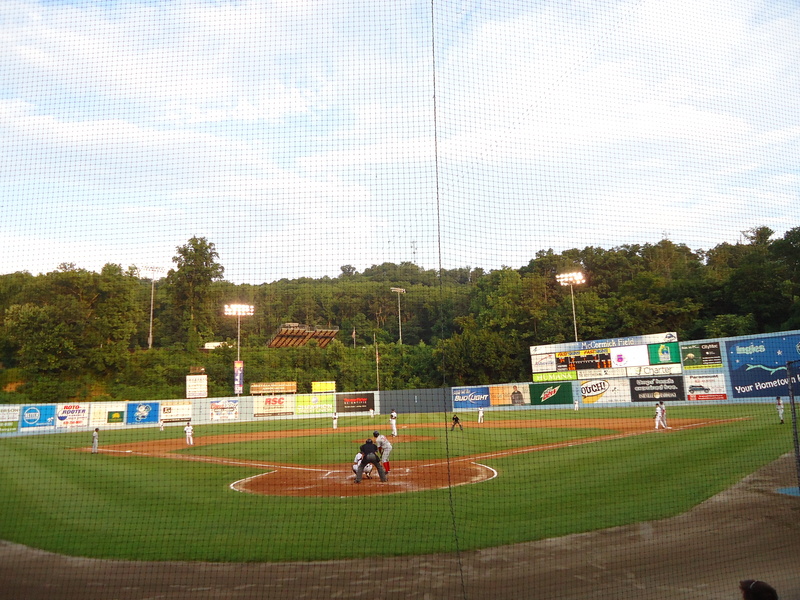 Ballpark Breakdown: There is nothing quite like seeing a minor league baseball game on the 4th of July, especially when that game happens to take place in Asheville, North Carolina. The fireworks, the capacity crowd, the small town feel that almost seems to take you back in time. We were happy that we decided to purchase our tickets before the trip since it turned out to be a sell-out. 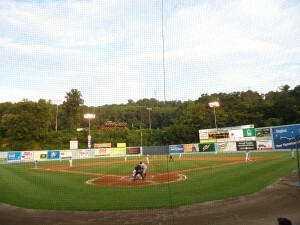 After touring many of the Asheville breweries we were happy to relax and take in the Independence Day game. We sat in what was typically general admission seating, but for this night was turned into assigned seating due to the large crowd. McCormick Field is another North Carolina ballpark that has served the community for a long time. 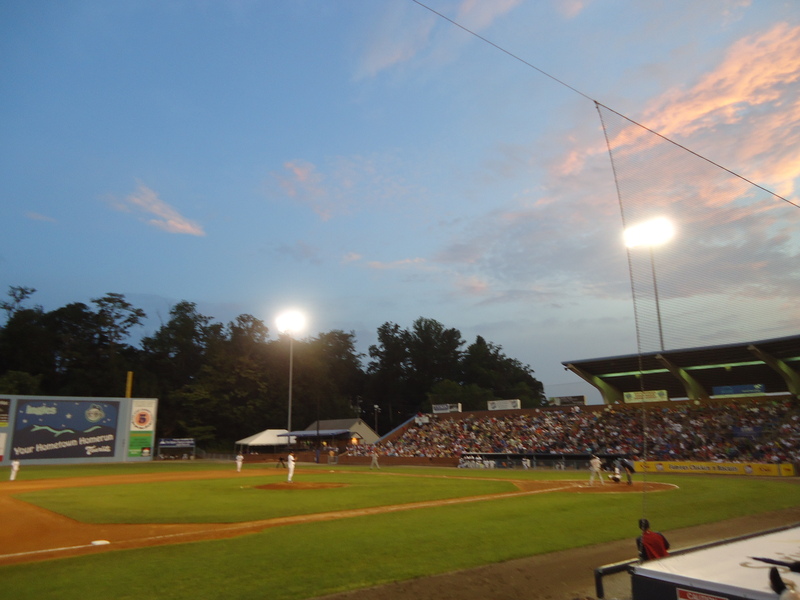 Built in 1924 for the sum of $200,000 McCormick Field was named after a local biologist, Dr. Lewis McCormick. Many of the greats have played here in exhibition games including Jackie Robinson, Lou Gehrig and Babe Ruth. Ruth loved the park and exclaimed, “My, my, what a beautiful place to play. Delightful. Damned delightful place!” However, besides the field much has changed at McCormick Field since the “Babe” played here. It has gone through many renovations with the last one occurring between the 1991 and 1992 seasons. The wooden grandstand was replaced with one constructed with brick and cement. It now includes a cantilevered roof that extends over much of the seating bowl. 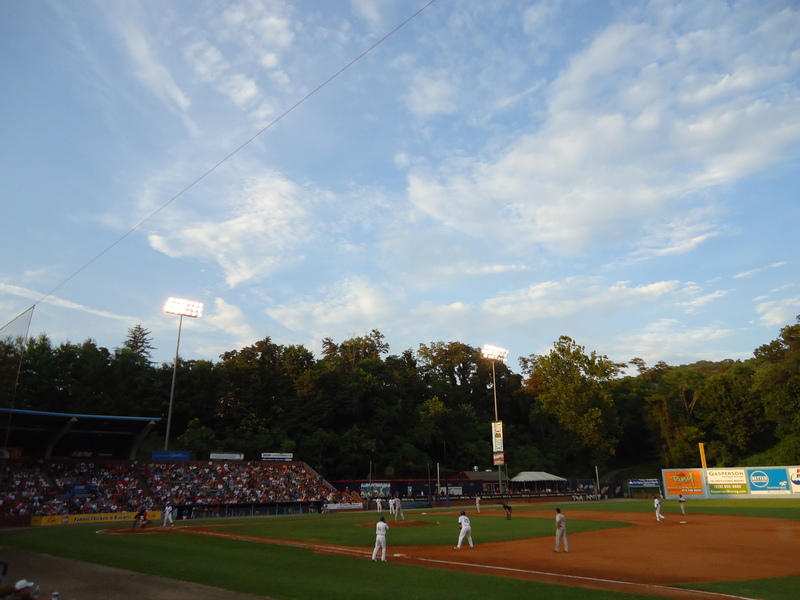 From downtown Asheville, the ballpark looks like it was carved into the side of a mountain but it is actually tucked into a residential neighborhood with limited parking near the field; so even though it was a bit of a haul, we were happy we had decided to walk. The whole town is quite hilly, what with being tucked into the Blue Ridge Mountains and all, and the ticket booth and the main entrance to the park were no exception. (they do allow for handicapped parking up the side of the hill and there are lots of ramps, so even if steep hills aren’t your forte, you can still access all the park has to offer). The park is designed with only one entrance (fire hazard anyone? ), so there was quite a long line to get in due to the large crowd for the game. However, when we picked up our tickets from will call, we noticed a considerably shorter line off to one side and were able to walk right in… and onto the lower concourse that wraps around most of the stadium. To the right of the entrance is a small but packed -and pricey- team store. Though there are a variety of seating options around McCormick, you need to walk up a set of stairs to get to the seating bowl no matter where you are in the park – another part of it being built into the hill. Likewise, the concourse is situated behind the grandstand so you cannot watch the game as you get your refreshments. This design created somewhat of a backup while people were still trying to find their seats as the national anthem was starting. Once the game got underway however, it didn’t seem any more crowded than a typical park. As mentioned, you have multiple seating options when you go to a Tourists game. 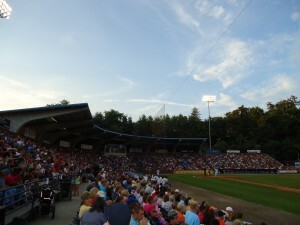 A ring of seats with backs line the entire seating bowl, behind these seats there is a small aisle and the rest of the park consists of bleacher seating. At the edges of the seating bowl there are large concrete steps that people even bring their own chairs for and there are more casual areas down each baseline with the Pepsi Pavilion down besides left field and the Ingles Picnic Area in right field. Like many of the minor league parks today, they have outfitted the entire infield with protective netting so no matter where you are you need to watch the game behind it. Probably the most interesting part of the park are the field dimensions. Another result of the field being built into the side of a hill there was not much space to work with forcing the architects to shrink the right field line to a short 297 feet. 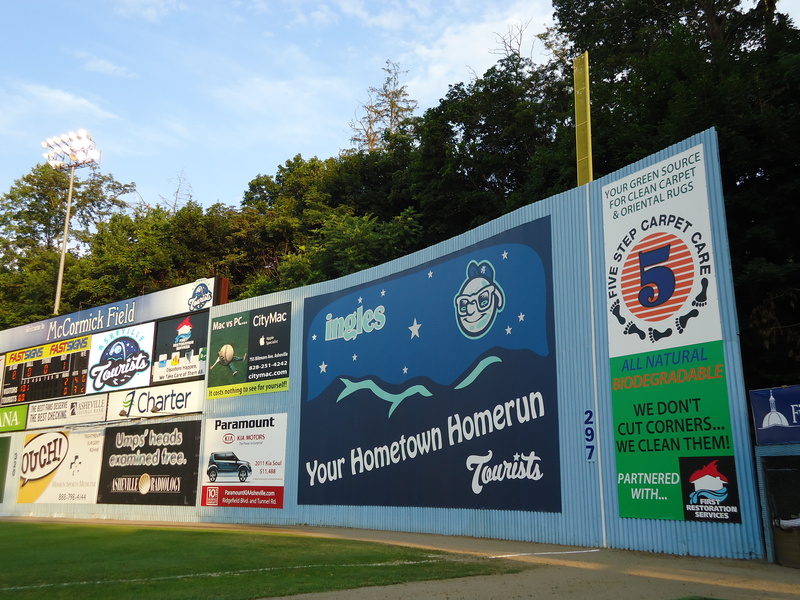 To overcome the limitations of the undersized porch, the right field wall has been built 35 feet high with light blue corrugated metal. This is adorned with some large advertisements from the local businesses as well as a small scoreboard (the score line has team teams fittingly named “Visitors” and “Tourists”). 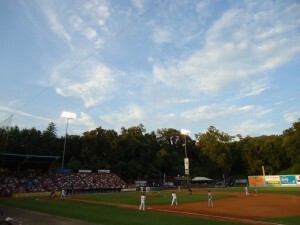 Behind the outfield wall it is lined with large trees and yet another hill where the local football field is located and, conveniently doubles in the spring and summer months as the staging area for Tourist post-game fireworks displays. Since Asheville has won the title of “Beer City USA” three years in a row, we were eager to see what type of selection they had at the park. We walked by the first concession stand to only see the usual culprits (Bud and Coors) and we got worried. However, on the concourse there were two booths set up with local beers from Highland Brewing Company (the Highland mascot even dons a Tourists cap and bat in the banners around the park) and French Broad Brewing Company. 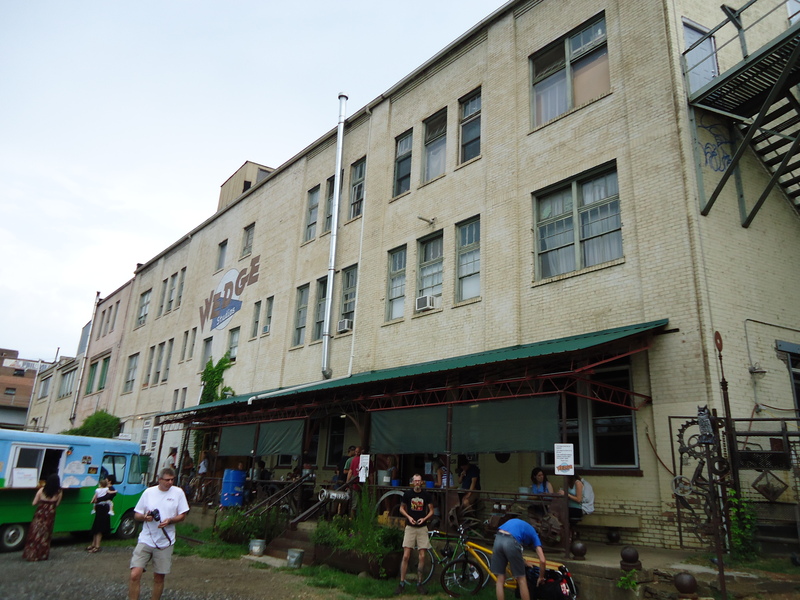 We guess it would be extremely difficult to include all of the breweries based in Asheville, but it would be nice if they had a little more selection from more of the locals. After the game, they allowed fans onto the grass area of the field to watch the fireworks. Something that made the kids feel special, and something we had never seen at another park (but have seen once since). We were ill-equipped for this and did not have a blanket so we chose to just watch from our seats. The game had started off with a preacher from a local church saying an opening prayer. He reappeared during the 7th inning stretch after the singing of God Bless America, and returned for a third time at the end of the game to do a closing prayer. While this helped add to the “small town feel” of the game it also frustrated many of the kids and families in attendance waiting anxiously for the fireworks to begin. All in all we enjoyed our evening with the Asheville Tourists. They have a lot of local support, and had some of the most entertaining between innings races and games we have witnessed (i.e. huge underwear race and dizzy toddler walking horse rides). It was a great atmosphere, and we couldn’t have asked for a better place to celebrate the 4th. 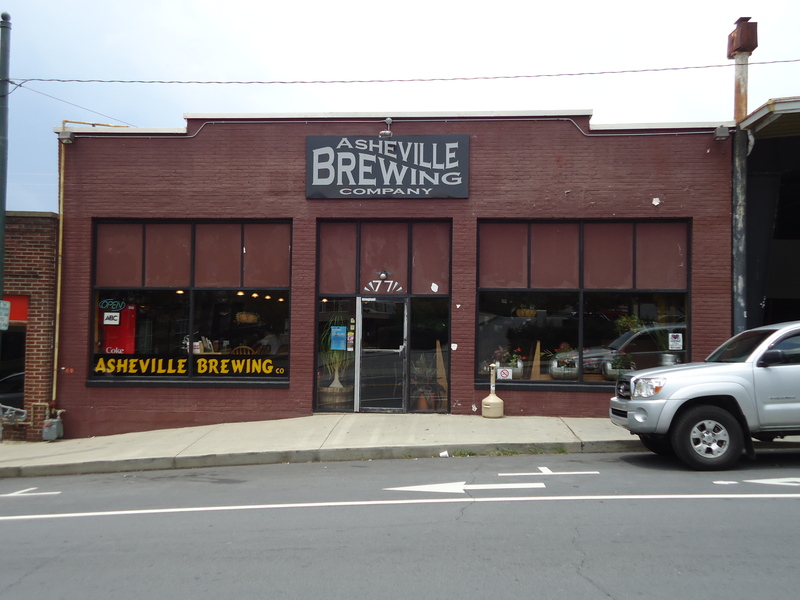 Nestled in the hills of the Blue Ridge, Asheville likes to refer to itself as “Beer Capital USA”, and the multiple nine(ish) craft breweries operating in the area enjoy helping this tiny city maintain its moniker. (tip: Don’t stop by on a Sunday if you want all nine to be open…especially if Monday happens to be a national holiday to boot). Below, you will find a “top 5” list of those that we were able to visit, along with abbreviated descriptions of the beer options to give you an idea of the brews without having to read a novella. 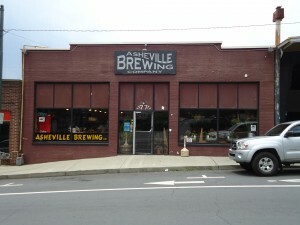 In our brief stint in Asheville, we discovered that having so many breweries so close together has forced each to create their own unique identity. 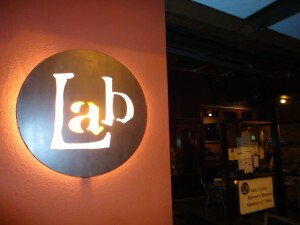 So, realizing that our “top 5” is simply our personal opinions, based on – for the most part – one visit, we have also awarded each a superlative so that you can go in confidently, knowing that with our help you’re finding your niche bar on the first try! **Note: On the days we were in town both French Broad and Craggies were closed. Shiva IPA (6.0 ABV/69.3 IBU) – Golden orange hues with a lot of a fairly thin head and higher carbonation. The Shiva smells of hops and citrus, and the palate is light but flavorful, with solid hop taste upfront and the citrus notes in the follow through. Stuntman (4.7 % ABV/27.2 IBU) – Deep toffee color with lighter lacing and no visible carbonation. Their description says “crystal malts give flavors of hops and mocha”, which we found to be very accurate, and these flavors come through even more in the aftertaste. Smells and tastes malty, and is more carbonated than it looks. Red Light Pale Ale (5.2 ABV/55.6 IBU) – The Red Light is similar in color to the Shiva, but without the head. The aroma and taste is highly pronounced citrus and hops that blend well with the malts to give a tart, bitter, and very balanced palate. Rocket Girl Golden Lager (3.2 ABV/27.2 IBU) – This beer is double filtered, which produces a very, very clear lager with a traditional golden color. The Rocket Girl has a sparkly carbonated taste and wheaty swallow; an easy session beer that was actually our least favorite of the bunch. Ninja Porter (26.2 ABV/5.25 IBU) – Dark brown beer with light ivory head and aroma of chocolate malts. Light and medium bodied, this is a well-rounded beer that is smooth going down. Escape Artist Extra Special Pale (5.5 ABV/ 5.50 IBU) – No head on this one, and a cider orange color. You smell mostly malts and the taste is surprisingly bitter for having such a low IBU. The E.S.P. is fairly smooth, sparkly, good and very tart in the end, but overall not that much different than the Red Light. Fire Escape – Only one smell with this one, jalapenos; which makes sense because the Fire Escape is just the Escape Artist infused with jalapenos – and that’s exactly how it tastes. Be warned, on first sip the peppers aren’t too pronounced, but they kick in and burn you in the aftertaste. Witbier (5.0 ABV) – A light colored beer, almost the color of a frosty lemonade, that smells soft and slightly fruity. The taste is slightly wheaty and the combination thereof makes this an easy summer drinker. Julian Price Pilsner (5.2% ABV) – Another very pale beer but the Pilsner is slightly more golden than the Witbier. Crisp both in mouth feel and aftertaste, a traditional American lager. Super Saison (7.2% ABV) – A light golden beer that gives off a slightly orange hue. This Saison is highly aromatic – smelling mainly of sage – but even with the almost overpowering aromas, is actually a fairly balanced beer. Derailed Hemp Ale (6.2% ABV) – A signature drink of Wedge brewing, this one calls for 150 pounds of hemp seed to be added to the mash tun. This produces a brownish orange iced tea colored beer that smells of caramel, nuts and …hippies. Almost tastes like a nut brown ale. Hellesbock (7.1% ABV) – Another classically golden beer. It has a faintly floral aroma and is a dry hopped beer; full flavored, with a complex finish that is a bit toasty. Iron Rail IPA (6.7% ABV) – Orangey again, but with a hint of brown. Lots of aromas come from this beer, including the distinct hops, and a resinous earthy citrus smell. The Iron Rail isn’t a traditional IPA, it’s not hoppy but is highly carbonated, and has a weird taste that is hard to describe but somewhat like sour orange peel. 3rd Rail (10% ABV and 85 IBU) – Reddish brown in color, this beer has a molasses honey smell and a surprising barley taste. It’s a bit sweet, which is also unexpected and makes this beer dangerous because you won’t realize it’s high gravity unless you’re paying attention. Wheat (5.2 ABV) – A pale yellow beer in the German Hefeweizen style that was clear, not cloudy. It smelled of wheat, and really little else; the taste was also mainly the wheats, but with hints of the traditional banana you get in a weizen and more pronounced citrus zest. Highly carbonated and nothing terribly special but a solid beer. IPA (6.2% ABV) – Toffee brown in color and with a good hoppy aroma, hoppy from first taste, but the malts kick in, balance it out and so it finishes clean with minimal aftertaste. Porter (6% ABV) – Ruddy brown beer with a light ecru head. The coffee notes did not come through significantly in the bouquet, but were more pronounced in the flavor. Not a terribly strong beer, most of the Porter’s flavor is upfront, and it actually ends slightly watery; another easy drinking beer. White Ale (4.2% ABV/15 IBU) – A hazy, pale yellow beer with the slightly spicy smell of coriander, chamomile, and orange peel that combined to create an inviting aroma. Light and refreshing on a summer night. Raspberry Wit (no ABV/IBU info available) – A hint of pink in an otherwise brown beer, with an aroma that smells like raspberries turning bad. This has a light, sparkling raspberry wine taste that isn’t too sweet. The mouth feel and aftertaste is also similar to wine. American Pale Ale (5.9% ABV/95 IBU) – Light caramel color. A fairly dry beer with pronounced hops in the aroma that is a bit disappointing because they don’t come through in the taste, which starts light and slowly builds. IPA (65% ABV / 107 IBU) – More of a golden color than the APA and also more bitter, tingly and flavorful. Compared the American Pale, which was a bit sweet, their IPA is more tart and has a consistent taste throughout. American Nitro Stout (7% ABV/50 IBU) – Deeper stout colored beer offset by off white hops. Strong coffee malts in the flavor, but here we differed in our opinions of the taste. Jim thought that this was a decently strong stout with hops that enveloped as you drank, and a thick, creamy mouth feel. Gillian thought it was more of a thin, watery beer without much taste, but with a kick of malts in the swallow, that dissipated quickly. We don’t usually have polar opposite opinions on our drinks, so you’ll have to try this one and tell us who you agree with! Hopefully you’ve stuck with us this long, and have learned something along the way. Let us know if you’ve been to any of these places, and how your experience there was. 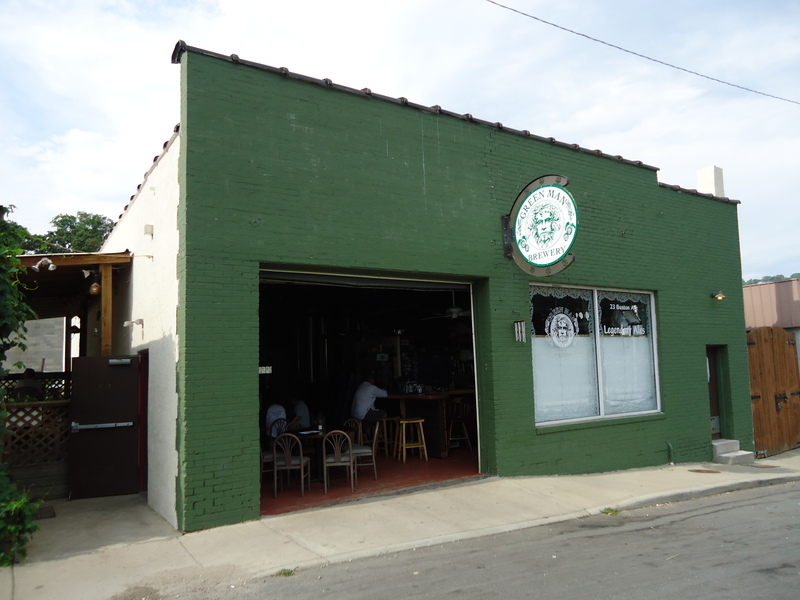 And finally, for our Number ONE brewery in Beer City U.S.A…. This is a great place with a lot going for it. So much so, we thought the number one pick deserved its own review. 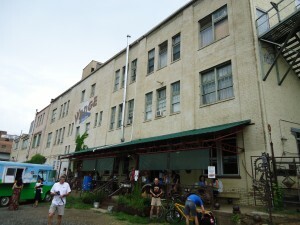 Click here to read about our top Asheville Brewery.